Five Star Tire Pros of Vernal is your source for tires, wheels, auto repairs, and truck accessories in Vernal, UT. 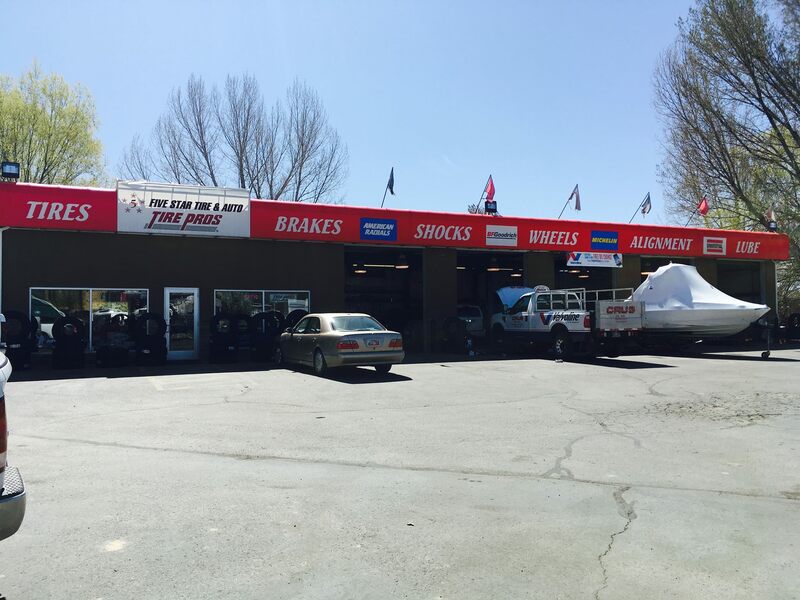 Five Star Tire Pros of Vernal serves automotive needs throughout the Uintah Basin. If you're visiting the Dinosaur National Monument, or traveling on Highway 40, or exploring the regions of Vernal, UT, Roosevelt, UT, or Rangely, CO, stop in to see why our shop is the best in the region. From brake service and oil changes to new tires and custom wheels, we'll get your vehicle in, out, an back on the road again with quality products and exceptional workmanship. As a tire dealer, we're proud to be certified by TIA. We back our work with the Tire Pros Warranty. Financing available!